Apalachicola - A visit to Apalachicola is like stepping back in time to a Florida as it was many years ago. Referred to as the "Forgotten Coast", this quaint little fishing village offers wonderful small town charm. 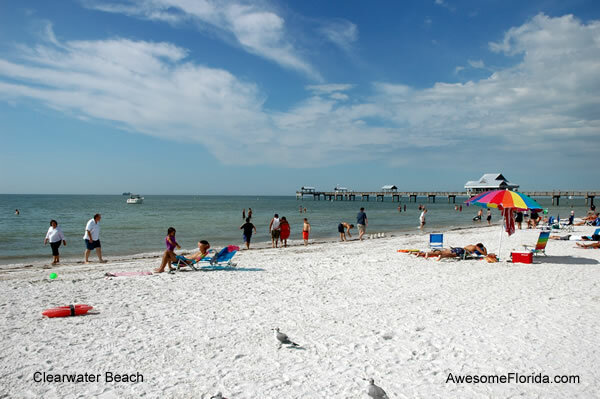 Bradenton - Beaches and water sports are one of the main attractions to Bradenton and its surrounding areas. Nestled between the Manatee River, Intracoastal Waterway and Tampa Bay, it offers miles of fun in the sun. Clearwater - Clearwater is a comparatively quiet city that has a lot to offer. A nice place to relax and experience a more leisurely pace with a world-class beach on the Gulf of Mexico. A favorite vacation destination. Daytona Beach - The "in" place for many who vacation in Florida. This is an active beach town and racing center that is renowned throughout the world for its beaches, motor-sport facilities, events and bike weeks. Destin - A rapidly growing beach resort community, surrounded by natural beauty with miles of brilliant white, sugar-fine sand beaches, sand dunes decorated by delicate sea oats, and clear, emerald-green gulf waters. Fort Lauderdale - A lively, modern city with all the comforts of a first class resort town. Fort Lauderdale, a long-time vacation favorite, offers great variety and sophistication in its leisure and business activities. Fort Myers - A world of tropical beauty and wildlife, white sandy beaches and numerous islands to explore. Still has much of its original charm - this is another rapidly growing vacation location - the secret is out! 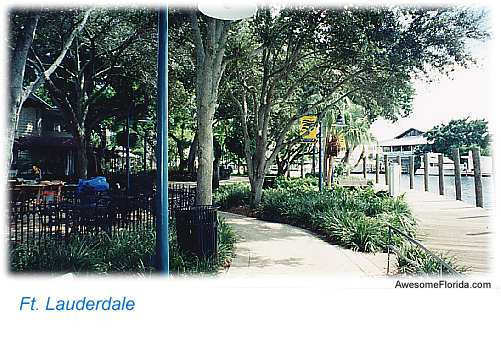 Gainesville - A small college town in central Florida with a spirit as big as all of the state. There is a lot of natural Florida beauty to explore in the Gainesville area along with several crystal-clear, freshwater springs. Jacksonville - Industry, commerce, and business symbolize Jacksonville, but it is also known as a destination place to enjoy beaches, waterways, parks and nightlife. Self-described as a youthful and hip city with a cultural and fun side. Key Largo - The largest of the Florida keys. It has been featured in a number of movies. But it is best known for water sports including snorkeling, diving, boating and fishing. It is also home to John Pennekamp Coral Reef State Park. Key West - The best known of the keys. The "Conch Republic" is free-spirited place of adventure. Water sports and activities are the main attraction, but so is eclectic entertainment and lively nightlife. Miami - A city of vivid contrasts - a contemporary city with a subtropical atmosphere; an American city with a rich Hispanic and Caribbean flavor; a thriving business center; all with some of the best beaches in the country. Naples - An affluent golf and beach community with world-class shopping, hotels and resorts which contrasts nearby Florida Everglades. Like most coastal communities, water sports are very popular as are its spectacular beaches. Orlando - There are more fantasy fun activities, thrilling rides, shows and adventures per mile than any place on earth! Besides the mega-parks, there are also many interesting and worthwhile local attractions. Panama City Beach - Stunningly beautiful beaches with emerald-green waters are the main draw here. Golfing and a few small attractions complement the considerable water sports and activities available. 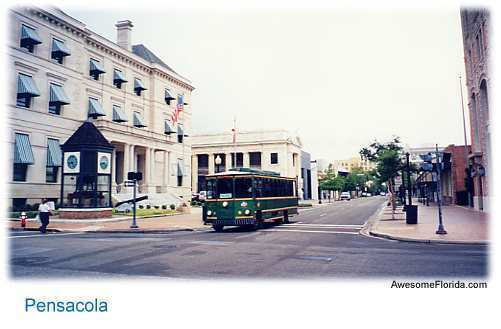 Pensacola - Pensacola is a mix of natural beauty and historical heritage. It has an interesting contrast between its uptown and downtown areas, but it is the sugar-sand beaches and dunes that are most striking. St. Augustine - As the oldest continuously occupied European settlement in the New World, the area has real historic interest. Additionally, as a coastal town, St. Augustine offers numerous beaches and water sports activities. St. Petersburg - Known best for its museums, performing arts, cultural centers, many festivals and community activities. It is surrounded by other towns and cities with attractions and some of best beaches in country. Sarasota - A small city with a large selection of cultural offerings, arts, shopping, dining, leisure activities and some absolutely stunning beaches. Also home to The Ringling Museum and 66 acre Ringling Estate. Tallahassee - The capital city of Florida. The restored, historic Old Capitol building contrasts the modern 22-story New Capitol. Moss draped oaks shade many streets. There's a sense of old, southern charm and elegance here. Tampa - Business, culture, entertainment, and sports are its hallmark. 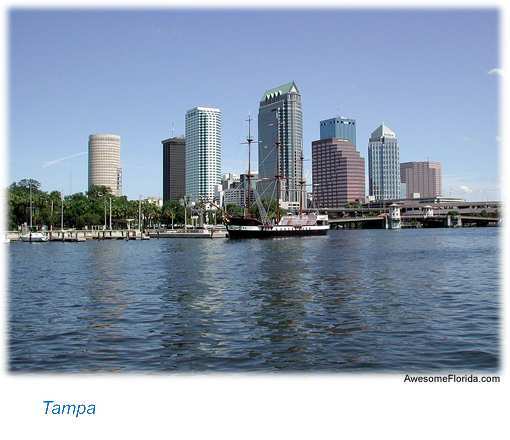 No significant beaches of its own, Tampa offers attractions, sports venues and games, a variety of museums, zoos and aquariums, historical districts and festivals. Tarpon Springs - A city with a rich Greek heritage, founded on tradition and hard work. Visit the historic sponge docks along with its shopping and Greek dining. Enjoy the beach at Fred Howard Park or Sunset Beach. 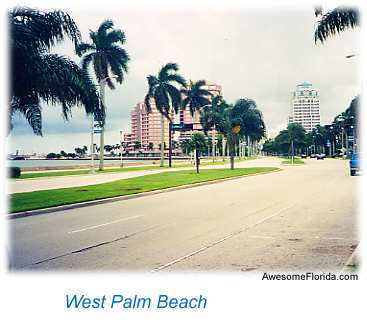 West Palm Beach - Situated along the Intracoastal Waterway that separates it from Palm Beach on the Atlantic. 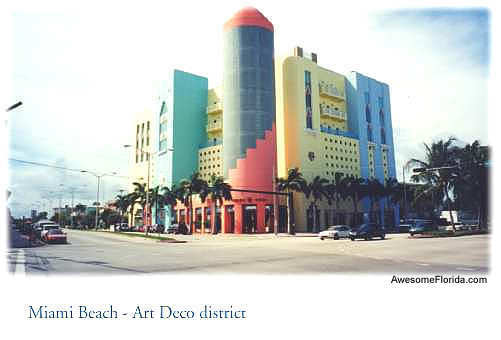 A business community that also offers a variety of cultural choices, entertainment, shopping, dining and night life.